are generally cheaper than their zoomed counterparts, faster, and yield sharper results 90% of the time. plus, walking around with them really forces you to find creative ways to compose your images…without the luxury of zooming in or out you have to really “work with what you have”. so yeah. sigma 30mm EX-DG test shot, f/1.4 @200 ISO 800. 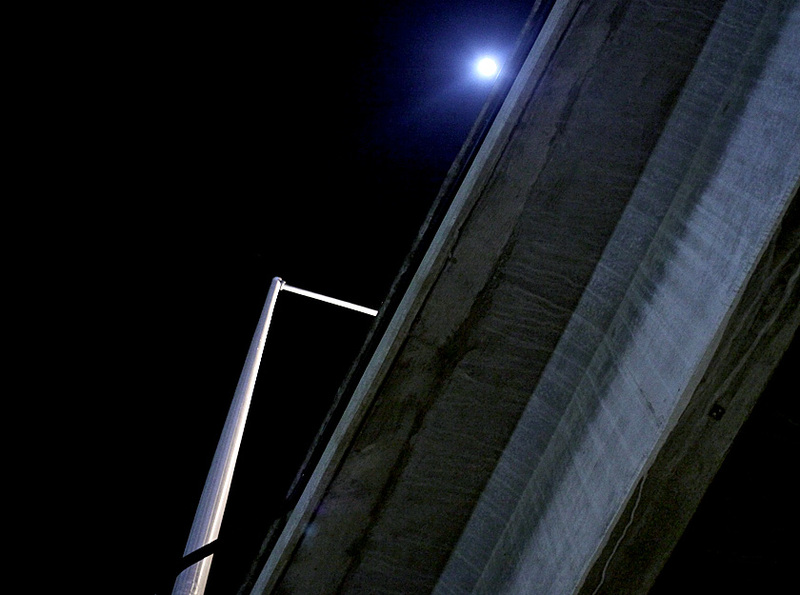 21 Jan This entry was written by aaron, posted on January 21, 2009 at 12:03 pm, filed under scenery and tagged freeway, moon, nightshot, sigma 30mm. Bookmark the permalink. Follow any comments here with the RSS feed for this post. Post a comment or leave a trackback: Trackback URL.